Sour Pickles Hunts bring you The Red Queen Hunt. This hunt will take place from March 1-31st. Accepting applications till February 18th. THE THEME: Everyone knows the tale of Alice..But what about The Red Queen? Show the story from The Red Queen from fashion all the way to decor, and in between! This is a 2L hunt. 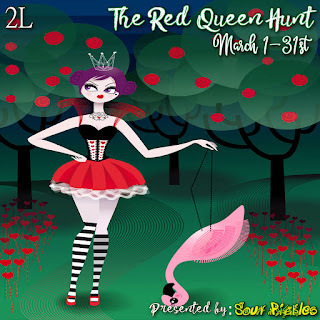 Thank you for your interest in the Sour Pickles Hunt "The Red Queen Hunt".